I had a small delivery from Amazon Germany arrive today. And when I say small, I mean four small card games whose box sizes in aggregate are about half the size of a typical Ticket to Ride box. That said, having gone through the rules of each of them, there is some interesting game play in each of them. 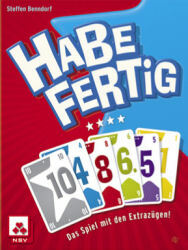 The games I’m talking about are Habe Fertig, a game of playing in the gap by Qwixx designer, Steffen Benndorf; Potato Man, a trick taking game where not matching any suit played is the key requirement – otherwise the round ends; Nox, a wicked game of building high scoring piles of cards while trying toÂ shrink the piles ofÂ your opponents (just make sure you have three colours showing when the round ends); and Abluxxen, by Kramer & Kiesling, where you try to build up the number of cards in front of you while snatching cards played by others and making sure you don’t get left with cards in hand when the round ends. I’m really looking forward to playing all these. Wayback When? is a review of the games I was playing five, ten, fifteen and twenty years ago with me highlighting the most memorable titles of each particular month in the vain hope that I might dig out some of them to play again. This month weâ€™re looking at March 1994, 1999, 2004 and 2009. 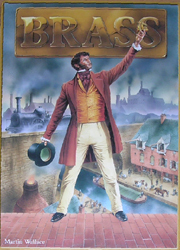 Five years ago, I played Martin Wallace’s Brass for the first time. 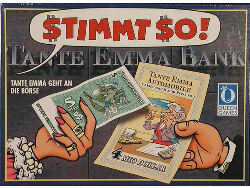 A meaty economic game played over two phases; the canal age and then the railway age. 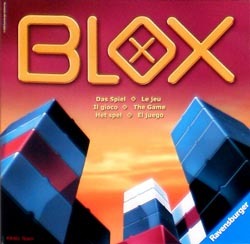 The other game thatÂ had a noteworthy first play was Blox, whichÂ is very different: an abstract tower building gameÂ whereÂ demolishing as well as building yourÂ towers is very important. In March 2004, I got to play two very well regarded games. 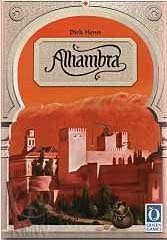 Alhambra was a variation of the earlier games Al Capone and Stimmt So by Dirk Henn and was rewarded with the Spiel des Jahres. 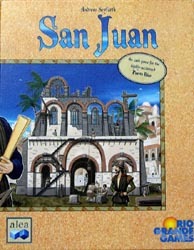 San Juan is Andreas Seyfarth’s best game: Forget Puerto Rico. 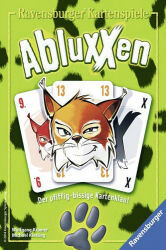 This distillation of the game into card games is absolutely brilliant and one of my favourite games of all time. Fifteen years ago, March 1999 didn’t see any really outstanding new games played. 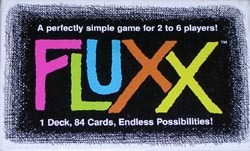 Of the eleven titles I played during the month, the only twoÂ new titles were Fluxx and Johnny Controletti, the former of which is good fun but susceptible for outstaying its welcome and the latter is a somewhat forgettable bidding and bluffing game. 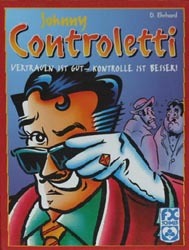 March 1994 saw me play 12 titles at the Nottingham Boardgames Club with two new games of note. 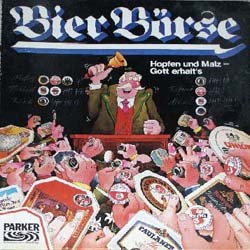 BierÂ Borse was Sid Sackson’s Bazaar translated into collecting bottle tops to fulfil combinations displayed on beer mats.Â Al Capone was the first incarnation of what, as previously mentioned, eventually morphed into Alhambra. 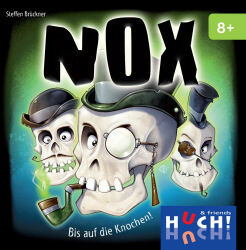 The version I have is Stimmt So and a fine game it is too. February saw me play 19 games of 18 different titles, 12 of which were new to me. The new games were: Shephy, Candy Chaser, Caverna: The Cave Farmers, Famous Fairways, Famous Fastballs, The Great Heartland Hauling Co, Greedy Kingdoms, Khmer, Palmyra, Trains & Stations, TransEuropa and Machi Koro. I sold 45 games and added 7 new games to the collection which were Bang: The Dice Game, Khmer, Greedy Kingdoms, Famous Fairways, Famous Fastballs, Council of Verona and Age of Industry. The only game I played more than once this month was Shephy and that was only twice. 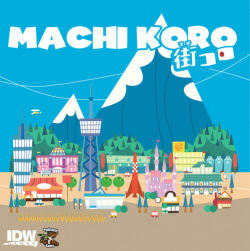 My unplayed list has dropped from 32 to 30 and Game of the Month didn’t appear until the very last day of February when I played the absolutely fabulous Machi Koro. 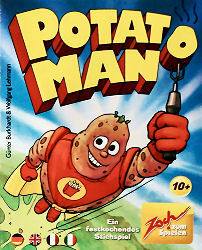 When this comes out in an English edition, it is going to be an instant purchase.